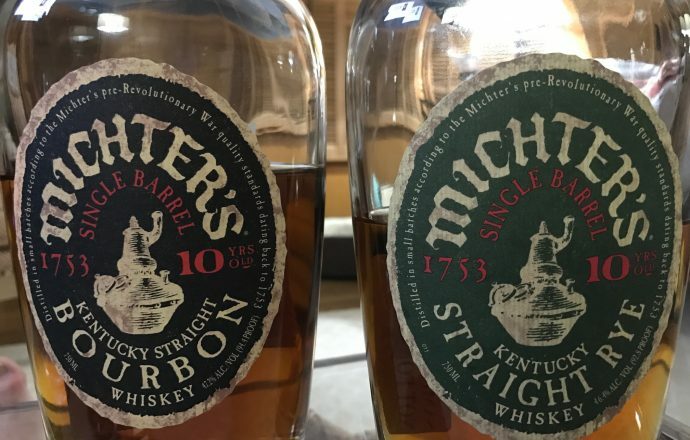 In October of last year, Michter’s named a new Master Distiller, replacing the long tenured Willie Pratt with Pamela Heilmann, the first female master distiller of a KDA distillery since prohibition. Pamela formerly ran the Booker Noe Distillery and has a ton of experience in the bourbon world. 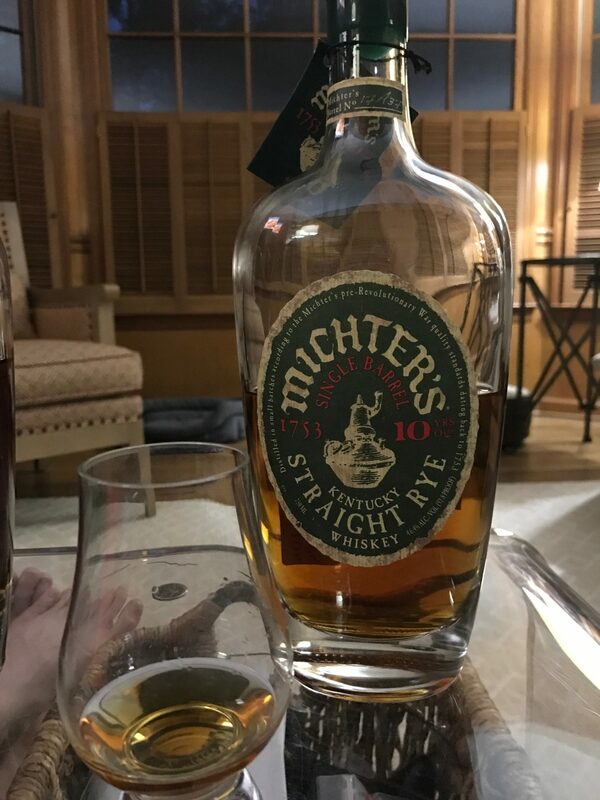 Following along the guidelines of now Master Distiller Emeritus Willie, Pamela is only approving the limited edition Michter’s products when she deems them ready. The 2017 M10 Bourbon and Rye were her first two approvals and of course I had to have my hands on them. I drank a good bit with friends, but decided to sit down with a nice pour of each to really get my perspective. I poured the M10 bourbon, and set it aside to write a little. The bourbon is a good 3 feet from me, but I can smell it over here. It’s got a fantastic nose. Strong notes of vanilla. With a good enough whiff I get that wonderful smell you can only experience in a bourbon distillery, that ‘mash is cooking and the grains are in the air’ smell. Very nice. Unfortunately I feel that the bourbon falls a little flat on the palette and I have felt that way for the past few releases of M10. It’s very one dimensional with a slightly bitter taste. It’s not bad, it’s just not as good as I hoped. I will say the finish is great at first and leaves a lovely caramel aftertaste. It almost comes back to life after it goes down. I can also say this is a definite improvement over the 2016 M10 (batch 1). I feel like with each batch it’s getting better, and I think very soon we are going to have a product that sends M10 Bourbon back into the rank of ‘highly sought after’ for allocated bourbons. Nose is fantasic. It smells like Sugar Babies. Seriously, I get sugar babies and maybe some spearmint gum. So nice. And it tastes just as nice. So smooth, especially for a 93 proof rye. A little spice from the rye, just enough to make a presence, not overwhelming. I get a wonderful flavor, it reminds me of honey nut chex a little bit. It also finishes just as nice with some vanilla and some caramel. It really is a great pour, one that I could pour all day. I’m a big fan of the 2017 M10 Rye and had to buy a few backups. At a retail price of $120’ish, I can afford to stock up on a few of these. Much higher and I don’t know if that’s the case, but these days $120 is the new $60. 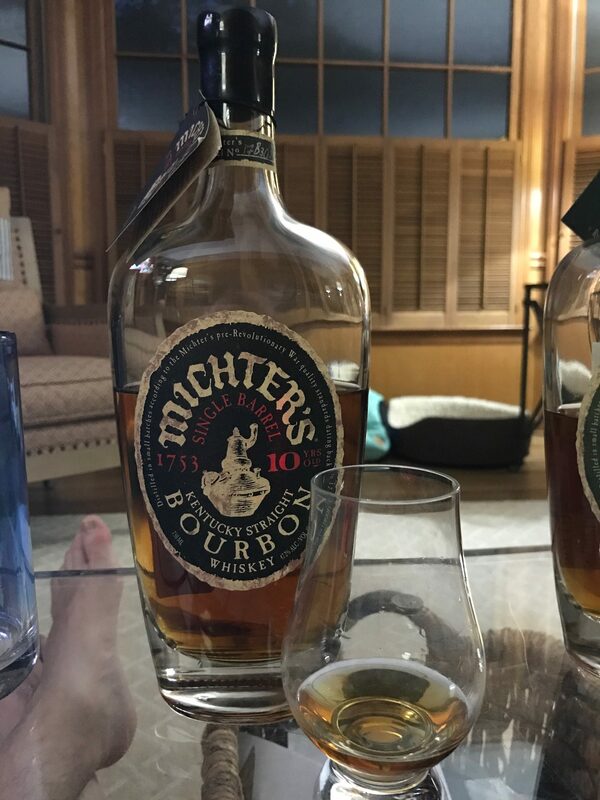 I have loved Michter’s ever since my visit last summer. They were so welcoming and so proud of their product and it shows in everything they release. While the M10 Bourbon is not at the level that would make me buy it, it’s improving, and I look forward to future batches. And I love the M10 Rye, such a great pour, and worth an investment at the price point. Now if I could just get my hands on some of that M25 Rye…..